Rosario Dawson, star of movies such as ‘Clerks 2′, ‘Sin City‘ (and it’s upcoming sequel ‘Sin City: A Dame to Kill For’) is the latest big name star to sign up for the Marvel’s latest foray in to the TV world following the success of ‘Marvel’s Agents of S.H.I.E.L.D‘ and the upcoming ‘Agent Carter‘. She will be joining the also recently announced Vincent D’Onofrio (who will play Wilson Fisk a.k.a. ‘The Kingpin’) and the UK’s Charlie Cox (best known for his roles in ‘Boardwalk Empire‘ and ‘Stardust‘) who will be the title role of ‘The Man Without Fear”. Marvel and Netflix are proud to announce that acclaimed actress Rosario Dawson has joined “Marvel’s Daredevil,” an all-new 13-episode series premiering on Netflix in 2015. Known for her powerful work in “Cesar Chavez,” “Kids” and the upcoming “Sin City: A Dame To Kill For,” Rosario Dawson will play a dedicated young woman whose quest to heal the wounds of Hell’s Kitchen brings Matt Murdock unexpectedly crashing into her life, while her own journey forever alters the course of his battle against the injustices of this broken city. Marvel’s first original series on Netflix is Executive Produced by series Showrunner Steven S. DeKnight (“Spartacus”, “Buffy: The Vampire Slayer”, “Angel”) and Drew Goddard (“Cabin in the Woods,” “Lost,” “Buffy The Vampire Slayer”, in addition to writing the first two episodes of “Marvel’s Daredevil”), along with Marvel TV’s Jeph Loeb (“Marvel’s Agents of S.H.I.E.L.D.,” “Smallville,” “Heroes”). 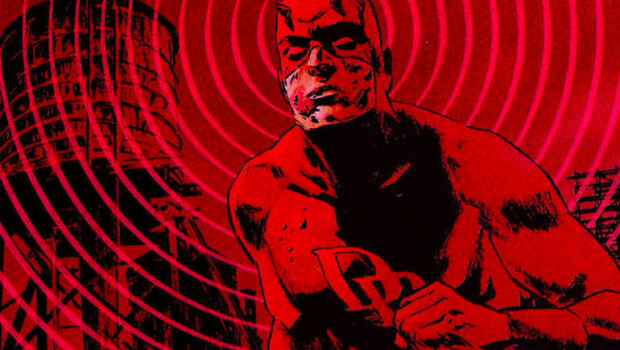 “Marvel’s Daredevil” is produced by Marvel Television in association with ABC Studios for Netflix.